Kidney stones occur when hard deposits (minerals and salts) form inside the kidney. They vary in size and may travel to other parts of the urinary tract. While small stones may not produce any symptoms, some people complain of severe pain in different parts of the body. The excruciating pain can be likened to that of childbirth. Here is a quick guide on common symptoms of kidney stones. Most people with kidney stones feel the urge to urinate. However, this will depend on where the stone is located. Those that are close to the bladder can irritate the walls and make the patient feel an urgent need to use the bathroom. These contractions may even occur when the bladder is empty. Keep in mind that unless the stone has moved to the urethra, there is no trouble when urinating. Patients who experience pain around the groin or the lower abdomen may need a diagnosis for kidney stones. The pain also can occur under the rib cage or on the back side. It starts as a dull ache that escalates to sharp wincing pain. And it’s very episodic – it can be severe one minute and then completely subsides. The pain may be mild or barely noticeable. The patient may need to seek medical attention if the pain is very intense. These two symptoms occur when the stones interrupt the flow of urine. It’s worth mentioning that stretching of the kidneys can cause gastrointestinal upset. And the worst part is that this pain does not subside even after making changes in body position. When patients vomit, they get dehydrated so additional fluids are recommended. In advanced stages, a kidney stone can cause blood in the urine. The blood is only visible with dipstick testing or when examined with a microscope. People who spot pink or reddish urine should see a urologist immediately. Sometimes the urine may look like tea. This could be an underlying symptom to a more serious condition. While this is not a common symptom for kidney stones, it occurs when patients have an infection in the problem area. According to experts, fever can occur when the stones block the flow of urine, which could be an emergency situation. And because the antibiotics can’t penetrate to an obstructed kidney, the obstruction must be relieved. Fortunately some stones may pass on their own without treatment. 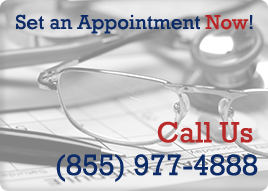 Need the services of a urologist? Visit Advanced Urology Institute for professional treatment. Here you’ll find Dr. David Burday and other practicing urologists. They will do their best to put you at ease. For more information on treatment of kidney stones and other urological problems, visit our “Advanced Urology Institute” site.